Difficulty quitting smoking is a common health concern in the United States. If you have ever smoked cigarettes or used other tobacco products, you’re already aware of the pleasant and addictive sensations you experience after smoking, chewing or dipping. These feelings are caused by nicotine, which offers an appealing buzz and mildly enhanced cognitive functioning to users. The relaxation and comfort you get from smoking is psychologically addictive. Nicotine also causes the release of dopamine, serotonin and other pleasurable neurochemicals in the brain’s reward system, creating a physical addiction. Because it combines psychological and physical sensations, nicotine is difficult to successfully quit. According to the Centers for Disease Control and Prevention, 40 million American adults, or almost 17% of the population, are current cigarette smokers. Socially, this makes quitting smoking a difficult task. When your friends or family members smoke, you feel like lighting up as well. Even if you’re committed to overcoming your addiction, you might struggle to break out of your current habits. If you smoke when drinking coffee, socializing at a bar or on a friend’s porch, being in that environment will encourage you to smoke. You might even worry about losing friends if you quit smoking. Using tobacco products is dangerous to your health. In fact, tobacco use is the leading cause of preventable death and disease in the United States. Because of this, new research studies on how to quit tobacco are frequently funded and published. New treatments are being tested every day, so there’s never been a better time to quit smoking. Some of the latest medical trends for helping you quit smoking include offering monetary incentives, mailing nicotine patches to your door and addressing myths about no longer smoking. New research in the Journal of the American College of Cardiology suggests that ongoing payments can provide incentive to quit smoking. This recent study examined 805 low-income smokers over 18 months, finding that small financial incentives have immediate short-term results. Almost half of those who received money stopped smoking for several months after their payment. How can you take advantage of this new treatment? You have several options. If you have friends or family members who want to see you quit smoking, consider asking them to get involved in your efforts. Give them a small amount of money and ask them to hold onto it until you’re able to quit for a specific period of time. If you have health insurance through your employer, you might qualify for a discount on your premiums if you quit cigarettes. 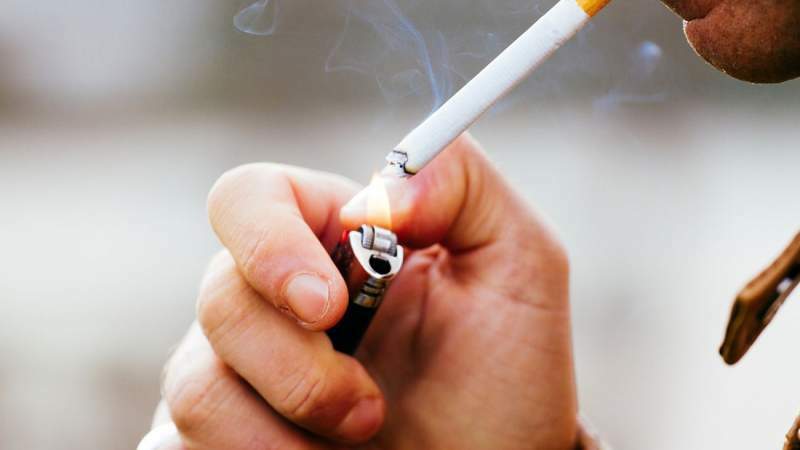 You would receive a monthly financial incentive for not lighting up, which could be a powerful motivator for quitting according to this new research. Nicotine patches are just as effective as the prescription drug Chantix (a brand name for the generic drug varenicline). A study of 1,086 smokers found that 23% who used patches were smokefree one year after treatment; this compared to 24% of Chantix users who were smokefree. A recent study in JAMA Internal Medicine found that free nicotine patches delivered by mail increased the odds of quitting smoking by almost 300%. While the overall rates were low, with 2.8% of smokers receiving the patches quitting versus 1% of those who did not, this still indicated a significant rate of success for mail-delivered patches. If you’re interested in this intervention, keep in mind that this study did not offer counseling services; you’ll have much higher rates of success if you use multiple strategies. A very new study in the American Journal of Obstetrics and Gynecology found that 80% of pregnant women were able to quit smoking with the use of nicotine patches. After they stopped using the patches, 68% of these women continued to avoid smoking. Many of the latest studies on tobacco use focus on how to help you quit your habit, but one new study has taken a different approach. New findings from the University of Wisconsin’s Center for Tobacco Research have looked at the social impact of no longer smoking.